Off again on another exciting wine tasting weekend! This time we were headed to El Dorado County, for the El Dorado Passport Weekend. El Dorado County is right in our back yard, just about an hour from home. As guests of the El Dorado Winery Association, who provided us with complimentary VIP passes to the event, we were looking forward to a deeper exploration of the region. 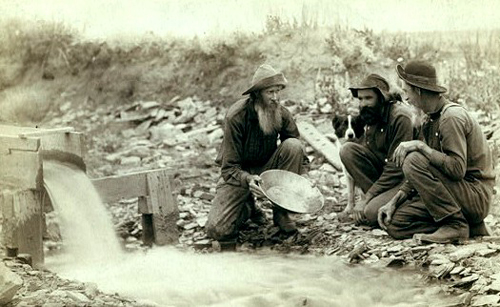 While we’ve lived nearby for many years, quite honestly, our ventures to the land of gold discovery had been few. El Dorado Winery Association represents nearly 50 wineries. About half were participating in the annual Passport Weekend. With so many wineries to choose from, we had to map out our strategy. Compounding the mathematical quandary was the fact that we had only Saturday to attend. We had other commitments on Sunday! Clearly, we needed a plan. 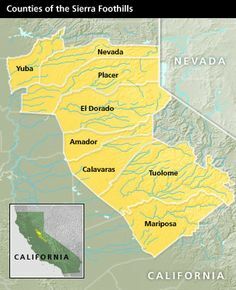 El Dorado County is located east of Sacramento, and runs from the valley floor all the way to the peaks of the Sierra Nevada mountains. In fact, the town of South Lake Tahoe is in El Dorado County. The highway that one travels from Sacramento to South Lake Tahoe is U.S. Highway 50, part of the historic Lincoln Highway. As it happens, Highway 50 bisects El Dorado wine country, with the Apple Hill area wineries on the north side, and Pleasant Valley, Mount Aukum, and Fair Play regions to the south. Of these regions, Fair Play is perhaps the most well-known, at least in the area, and is the part of El Dorado County we’ve explored the most. With that realization, our plan was established. We would delve into the Apple Hill area, on the north side of Highway 50, and visit wineries that were completely new to us! Well, mostly, as you will read. The El Dorado Passport Weekend actually spans two weekends. We attended the second. The first weekend was met with sunshine and unseasonably warm temperatures. The second weekend was, well, more seasonable. It was overcast and chilly, with an often biting wind at outdoor venues. Nevertheless, even cold weather would not prevent us from enjoying the day and sampling some fantastic El Dorado County wines. 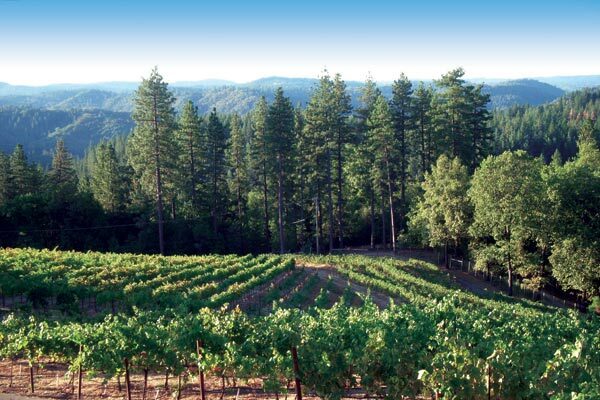 High elevation wines are what sets El Dorado Wine Country apart from other California regions. The growing region varies from 1,200 to more than 3,500 feet above sea level! That’s some serious altitude! Some 50 grape varieties thrive here, from Gewürztraminer to Cabernet Sauvignon, to Barbera, to Chardonnay, to Zinfandel, and many others. Rhône and Bordeaux varietals do especially well here. There are many soil types, including volcanic rock, decomposed granite, and fine shale, each providing its own influence to the terroir. From here, please enjoy the photo montage along with brief descriptions of each winery we visited. We quickly learned that El Dorado Winery Association knows how to host a party, as each winery had food pairings for almost all of their wines. We did not go hungry! Our first stop was Fenton Herriot Vineyards. Perched atop a hillside with spectacular views, Fenton Herriot is located just outside Placerville, a quaint Gold Rush era town. The wines were as amazing as the views, and we enjoyed the catered food pairings as well. As part of the VIP experience we were invited to a three-vintage vertical tasting of their Sangiovese. Next was Lava Cap Winery. This is the one I intimated above; we’ve been familiar with Lava Cap for years, because their production is such that they can be found in Sacramento area restaurants and even grocery stores. Don’t let this dissuade you, however, their wines are first-class! As part of our VIP experience, we tasted a flight of library wines, including a 12 year old, oak aged Viognier. Yes, you read that right – a 12 year old Viognier! It was spectacular! Moving on, we stopped at Madroña. 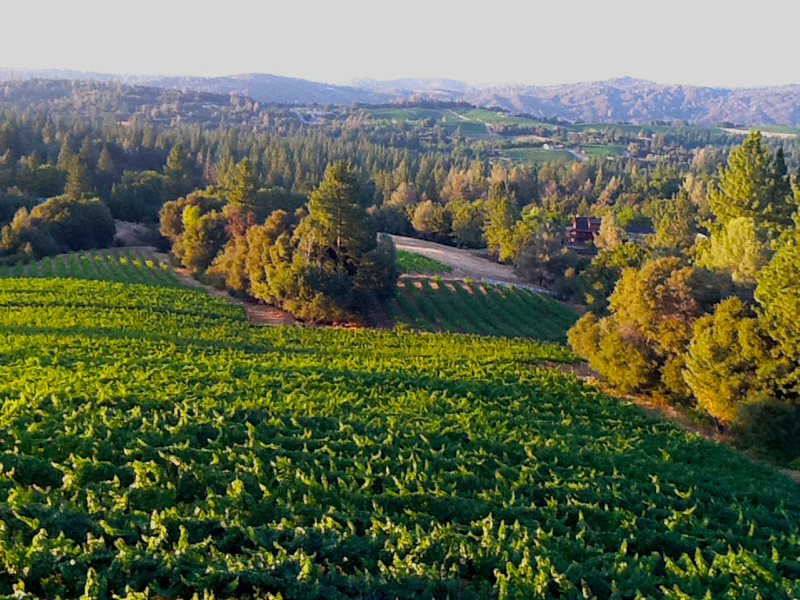 Established in 1973, Madroña is one of the oldest El Dorado County wineries. I even remember them being there when I visited Apple Hill as a child! Here was tasted a flight of Cabernet Sauvignon including a 1985. That’s the year my daughter was born! The wine has aged and mellowed as much as my daughter has. Amazing! They also have a red blend, El Tinto, composed of 25 different grape varieties. Delicious! Next we stopped at Via Romano Vineyards. 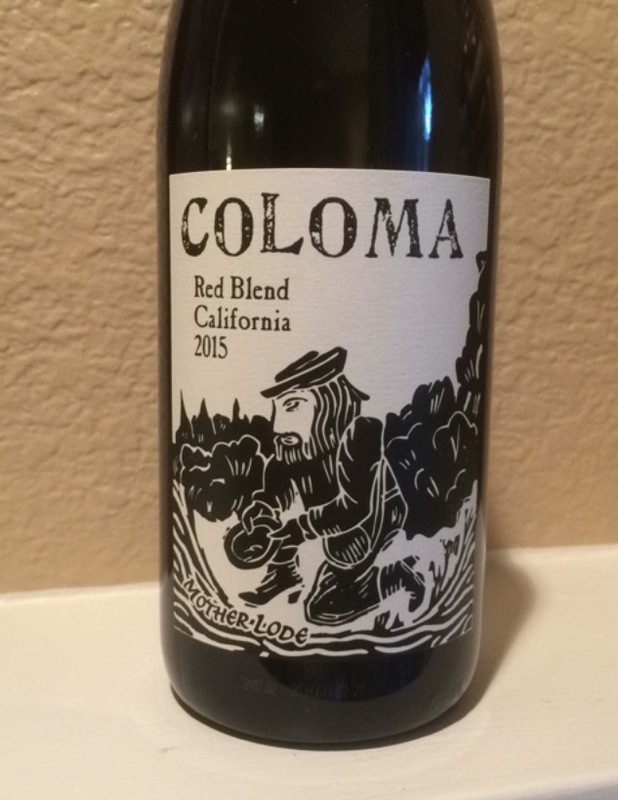 Via Romano specializes in Italian varietals, and they do them exceptionally well. Check out the Pinot Grigio paired with mango, peach, and apple bruschetta! Simply ethereal! From there, we stopped at Bumgarner Winery. Any San Francisco Giants fans in the audience? Owner Brian Bumgarner did some genealogical research, and found at least a distant relation to starting pitcher and future Hall of Famer, Madison Bumgarner. Even if baseball is not your thing, stop on by their rustic tasting room for some rich, full-bodied red wines. At the recommendation of one of the staff at Bumgarner, we next ventured just south of Highway 50 to Chateau Davell. There we were reunited with owner and winemaker, Eric Hayes, who we had met at the Wine Bloggers Conference a few months earlier. Eric is a skilled winemaker, and also an accomplished painter. Each label is adorned with a portrait of a family member, lovingly painted by Eric himself. As you can imagine if you’re keeping score, by now we were getting palate fatigued. Nevertheless, we had some time to kill before we would be meeting friends in Placerville. So we forged on to one last winery, Sierra Vista Vineyards and Winery. 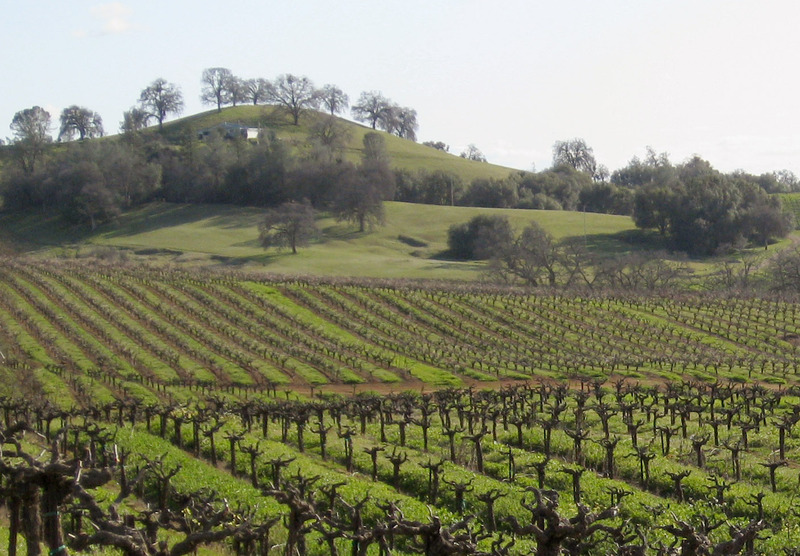 Another early pioneer in El Dorado Wine Country, established in 1979, Sierra Vista was also on the forefront of the Rhône movement in the area. Their dedication to the craft is evident in each sip. With a renewed fascination and enthusiasm for our backyard wine region, we are determined to return soon and continue our adventure of discovery. 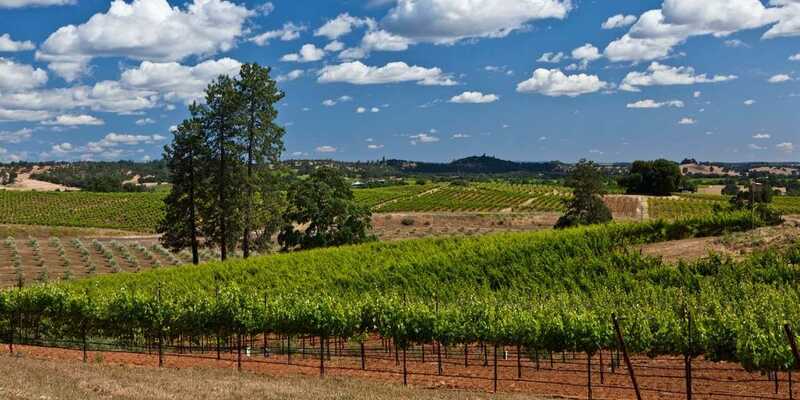 If you are planning a trip to Northern California, perhaps to the more famous wine regions like Napa, Sonoma, or Lodi, you owe it to yourself to plan a little detour to the east, and come discover the fantastic wines of El Dorado County.